Crytek’s Hunt: Showdown has been generating some buzz through a series of closed alpha tests, and now you’re no longer forced to track down a key for access – you can just buy your way in, as God intended. Hunt: Showdown is now available in Steam Early Access, marking the start of wide availability for the Weird West shooter. There’s plenty of time for things to change, and Hunt: Showdown could learn a thing or two from Monster Hunter. You can pick up the game now for $29.99 / £25.99 / €29.99 on Steam, and you should bear in mind that price is set to increase in time for the game’s final launch. Crytek expect the game to remain in Early Access for about 12 months, depending on the scope of changes they decide to implement based on community feedback. 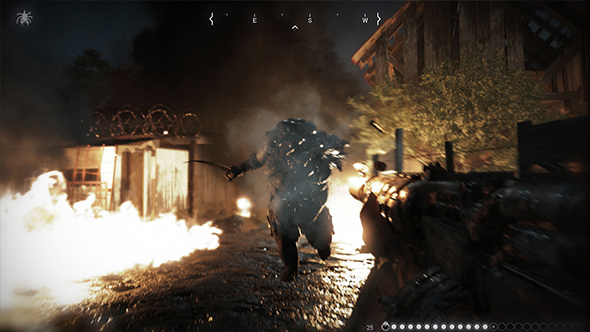 In its current form, Hunt: Showdown has you dropping into the Louisiana bayou where you hunt mutant monsters for bounties and defend yourself against other players trying to steal your glory. There are currently two boss targets, four AI enemy types, and random hordes of grunts, as well as 33 unique bits of weaponry and equipment, in addition to the trait and progression systems. Over the course of Early Access, the game will get “more gear, more monsters, more (and more diverse) Hunters, more game modes, more traits, crafting, and more map variations,” in addition to more fundamental changes based on feedback.